For years, one of my favorite things has been to collect tea sets. 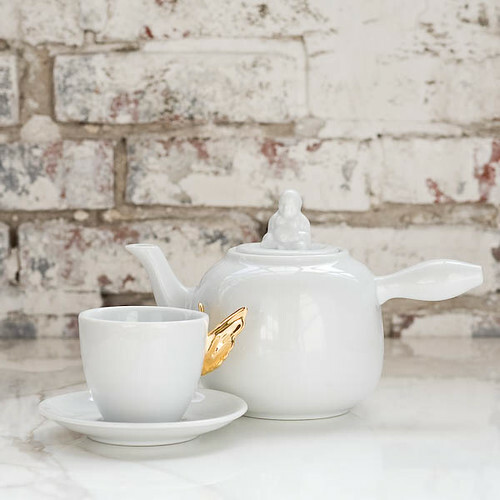 I have an infatuation with beautiful things, and there is something so beautiful about a delicate porcelain cup sitting atop a saucer. 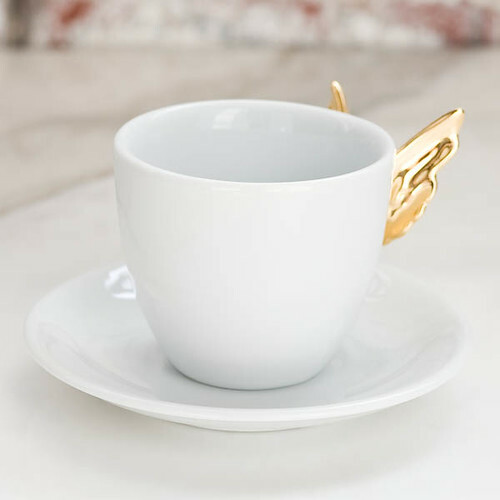 A year ago I spotted a set of these beautiful teacups by Brazilian designer Estudio Manus. 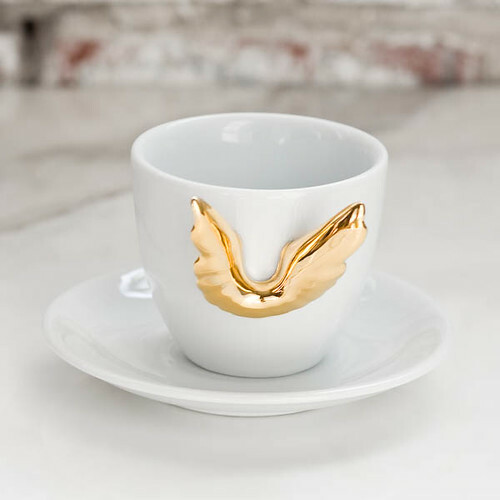 Handmade with 100% porcelain, and detailed with 18K gold wings, these teacups are so unique and very special. 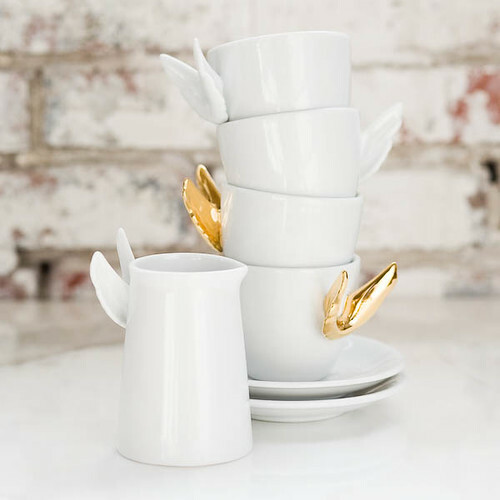 With a clear love for creating beautiful tableware, work by designer Estudio Manus is subtle and elegant, with surprising elements like golden wings, or a quiet Buddha. Pieces come in a recycled wood gift box as part of this designer’s ode to simple, yet elegant style. You can find a collection of pieces by Estudio Manus at one of my favorite online boutiques, Horne, as well as other unique treasures for the home. Vintage from Munkii Thank You Friday!